Greatland Gold plc (AIM:GGP), the precious and base metals exploration and development company, is pleased to announce details of a new drilling programme at its 100% owned Firetower project in Tasmania, Australia. The new drilling programme will test targets at Firetower and Firetower East that were outlined by the results of a 3D Induced Polarisation (“3DIP”) survey conducted by Greatland in 2018. Results of the 3DIP survey highlighted a large chargeability anomaly, approximately 1,000 metres long, traversing east-west across the Firetower prospect and open to the east and at depth. Significantly, the results illustrated that the existing sub-surface gold mineralisation identified in drilling to date at Firetower is spatially associated with the 3DIP chargeability anomaly. o Firetower East prospect (500m east of Firetower): to test 3DIP chargeability anomaly along strike from Firetower prospect in an area previously undrilled. · Systematic, grid-based drilling to test the centre of the chargeability anomaly at Firetower which is located approximately 150m below surface (previous drilling in the area has only been to maximum depths of approximately 100m). · Programme will consist of approximately 15 drill holes on five north-south traverses, with drill hole depths ranging from 75 metres up to 250 metres, for total of more than 2,000 metres. · Additional holes to test a previously undrilled area at Firetower East which was identified by the 3DIP survey and has been selected for drill testing as it displays geological and geophysical features similar to those seen at the Firetower prospect. · Field activities are expected to commence in late May subject to the receipt of all required regulatory approvals. Gervaise Heddle, Chief Executive Officer, commented: “We are very pleased to announce that we are on target, as mentioned in our interim results, to move forward with a new drilling programme at our Firetower gold project in Tasmania. This programme is designed to further advance this exciting gold project and is in line with our stated strategy of focusing on those assets which have the potential to deliver significant shareholder value in the medium term. “This programme represents an important opportunity not only to test the continuity and depth of mineralisation at Firetower itself, but also to drill an area to the east not previously drill tested, where last year’s 3DIP survey outlined a large chargeability anomaly. This will determine whether the spatial association between the chargeability anomaly (as identified by 3DIP) and mineralisation continues as we step out along strike. The Firetower project is located in central north Tasmania, Australia, and covers an area of 62 square kilometres. The 100% owned project includes the two main prospects of Firetower and Firetower West, and the strike extensions of prospective stratigraphy. The Firetower prospect has significant gold mineralisation from surface up to 30g/t while the mineralised system at Firetower West shows copper to 1.34% and silver to 2.6g/t. Both prospects remain open along strike and at depth. The Firetower project area covers the eastern parts of the highly mineralised Mt Read volcanic rocks which lie in the western and northern parts of Tasmania. These rocks host major polymetallic (zinc, lead, gold) deposits such as Hellyer and Roseberry, and copper deposits such as Mt Lyell, and the large Henty gold mine which has produced over 1.25m oz since 1996. Gold mineralisation at Firetower was first located in the late 1970s with stream sediment samples up to 320g/t gold (+10 oz) but this was not followed up until the early 1990s with reconnaissance drilling. More modern exploration by Greatland and JV partners has included soil geochemistry to 4,450ppb gold, diamond drilling and detailed ground magnetics. Gold drill intercepts (historic and Greatland) include 29m at 2.39g/t, 17m at 5.37g/t (incl 1m at 30g/t), 10m at 6.2g/t, 3m at 21.38g/t Au, 11m at 4.3g/t, 1.2m at 14.9g/t. Copper intercepts include 5m at 0.76% Cu, 1m at 1.44%, 3m at 0.62%, 2m at 0.84% and 0.5m at 3.72%. Drilling to date has, in general, tested approximately 250m of strike to a depth of around 100m from surface. 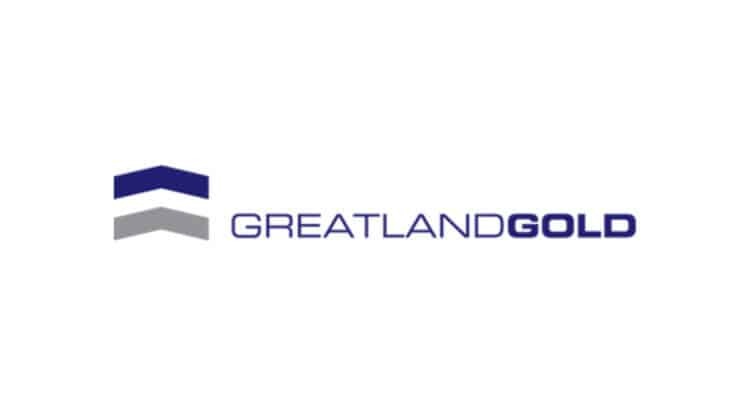 Greatland will conduct a systematic drill programme across the Firetower prospect, consisting of approximately 15 drill holes, testing mineralisation, geology, structural controls and geophysical targets. Drilling will be conducted on five north-south traverses with drill hole depths ranging from 75m up to 250m. Holes will be angled approximately 60 degrees to the north, and it is expected that more than 2,000m worth of drilling will be completed. Spacing between drill traverses will initially be a nominal 25m basis and provision has been made to increase traverse spacing to 50m. Gold mineralisation is spatially associated with an IP anomaly at Firetower. Following a detailed review of geology, previous drilling and the 3DIP results it is apparent the Firetower IP anomaly has not been adequately drill tested. The centre of the IP chargeability anomaly is located approximately 150m below surface, and 35m south of the main gold mineralised horizon, with the majority of previous drilling in the area to maximum depths of approximately 100m. This anomaly will be tested along strike and at depth during this drill campaign. The IP anomaly at Firetower, as established by both 3DIP (2018) and gradient array (2002) surveys, extends to the east for approximately 3km. Separate parts of this anomaly will also be drill tested in the current campaign. Initially one area approximately 500m east of the Firetower prospect has been selected for drill testing as it displays geological and geophysical features similar to those seen at the Firetower prospect itself. Several other prospects are present within the broader project area such as Firetower West and Firetower East. At Firetower West, soil geochemistry has delineated a large copper/arsenic/gold anomaly over an area of 800m x 300m, with rock chips up to 3.3% copper. A 3DIP target approximately 800m x 400m was tested with a single core hole in 2014 returning 1m at 1.34% copper and 2.6g/t silver. This is considered significant as it highlights the prospectivity of Firetower West to potentially host polymetallic VMS-style mineralisation as seen in the Mount Read Volcanic rocks in other parts of Tasmania. Examples of these types of deposits in Tasmania include Hellyer and Roseberry. Firetower East is the eastern geological strike extension of the main mineralised host sequence at the Firetower prospect. Firetower East covers more than 2km of strike with soil geochemistry up to 150ppb gold, but little follow-up work has been completed here. It is intended that parts of the Firetower East prospect are tested during the current drill campaign as outlined above. Field activities are expected to commence in late May, subject to the receipt of all required regulatory approvals. Further information on drilling activities at the Firetower project will be announced during the coming weeks. Additional information on the Firetower project can be found on the Company web site at www.greatlandgold.com/projects.